Film is getting a limited release through IFC. Helmed by renowned Director Bruce McDonald, PONTYPOOL marks the filmmaker’s first venture into the horror genre. 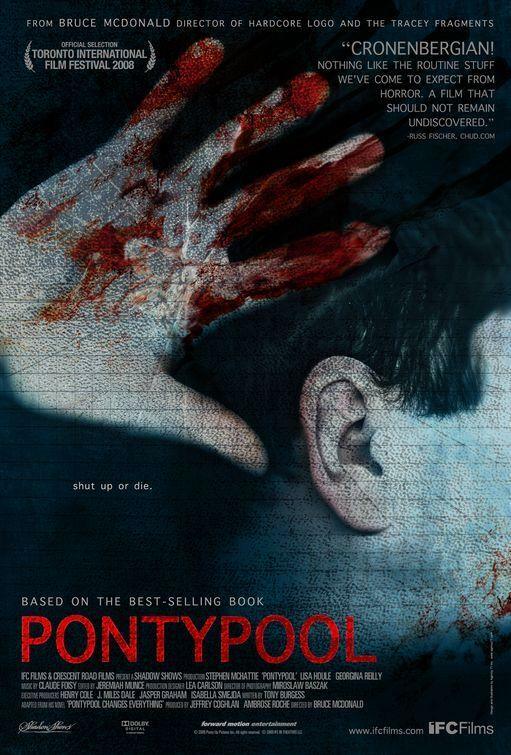 The film is adapted from the novel “Pontypool Changes Everything” by Tony Burgess which tells the story of a morning radio show broadcasting out of a church basement in the small town of Pontypool. What starts out as an otherwise ordinary day suddenly turns deadly when reports start coming in of a strange virus spreading through the town.